Fifteen years after his death in March 1999, Stanley Kubrick has apparently arranged a hand-selected announcement that his films are far more than they appear to be. As UCLA’s resident Kubrick expert, Professor Mascaro was the recipient of Kubrick’s package. Inside is a reproduction of the famous photo Kubrick took for the cover of Look Magazine following the death of FDR. The image to the right has become emblazoned in the American zeitgeist. On the back of the photo is a message written by Kubrick that reads: “Follow me to Q’s identity.” Mascaro is stumped and asks Shawn Hagan, his brilliant but socially awkward film student, what he thinks that might mean. Shawn takes the photo and studies it with his only two friends at school–Wilson Devereaux, an infamous former child star bent on becoming a respected director, and Samira “Sami” Singh, a graduate film student with a dark, rebellious past. 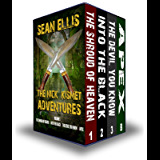 The clues lead the friends to an old hotel in New York, where a mysterious package has been held by the concierge for twenty years. The package contains the next clue in the puzzle as well as a filmed message from Kubrick himself that confirms the construct of the elaborate game. Unfortunately, the friends also learn that at least two other groups have recently uncovered this first part of the puzzle, which puts them a step behind. By the end, Kubrick will have proven his genius to be unmatched, when the game takes the player far beyond the boundaries of reality and sends him into the darkest realms of the human mind in order to make it to the final stage. This climactic set piece is surely the most difficult and diabolical puzzle ever created by man. Shawn will have to face his own demons and reconnect with those who care about him in order to receive the great treasure that is Kubrick’s final legacy and gift to humanity. Watch for the audiobook, narrated by Jonathan Frakes (Command Riker on "Star Trek: The Next Generation") with an assist from Yvette Nicole Brown ("Community", "The Odd Couple"), to arrive in November. "Like Kubrick's films, this book dazzles. A fascinating mind-bender that any movie fan will geek out for." ~ EJ Altbacker, Author of "Shark Wars" and "Handy Andy Saves the World" "Welcome to Kubrick's Game, where nothing is what it seems, and every puzzle solved leads to the beginning of a new mystery. Three brilliant cinema geeks race against the most elite film students in the country to unlock a mystery designed by the dark and twisty mind of the genius himself, Stanley Kubrick. 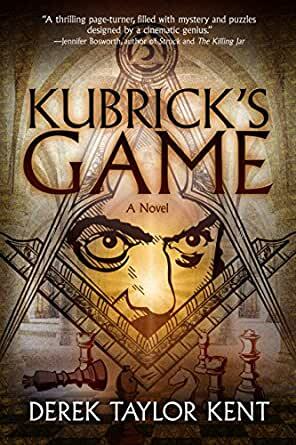 If you're lucky enough to receive an invitation to play Kubrick's Game, you're in for a thrilling page-turner of a ride!" ~ Jennifer Bosworth, Author of "Struck" and "The Killing Jar"
Author - Derek Taylor Kent is an author, screenwriter, and performer based out of Los Angeles, California. He graduated from UCLA with a degree in theater and playwriting. After realizing a career as a theater actor in LA wasn't possible, he launched his writing career, penning the hit musical King Kalimari. The success of Harry Potter inspired him to rediscover his early love of book writing. After his first novel was soundly rejected, he found success with his second, receiving a three-book deal from HarperCollins for his series "Scary School" (written under pen name Derek the Ghost). 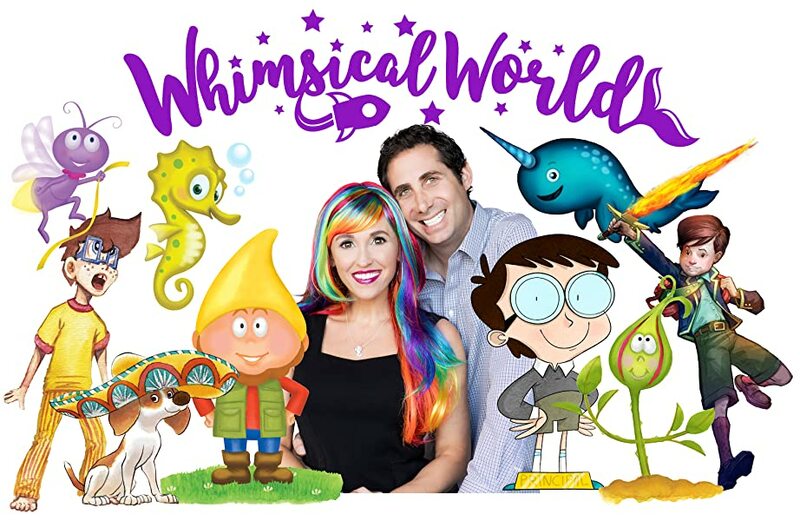 The first book won an award for "Funniest Chapter Book of the Year" by Children's Literature Network, and the series went on to become one of the most popular for middle-grade readers. His bi-lingual picture book "El Perro con Sombrero" was released August 2015 through Holt/Macmillan, and quickly became a best-selling new picture book. Other available books include the award-winning educational picture book "Simon and the Solar System" and the magical adventure "Rudy and the Beast." 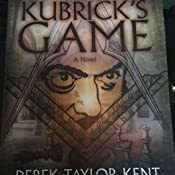 Derek Taylor Kent had done a huge amount of in depth research into Kubrick and his work and this is evident not only in the story at face value, but also in the subtext and its allusions. One reason this story works so well is that the protagonist’s journey follows that of the hero’s journey, or monomyth and this creates some parallels between the book and Kubrick’s films. The monomyth was first introduced as a concept by Joseph Campbell in his book The Hero with a Thousand Faces, which Kubrick introduced to Arthur C. Clarke during the writing of 2001: A Space Odyssey. It is also worth mentioning that Campbell’s book was heavily influenced by the work of psychoanalyst Carl Jung, who was also an immense influence on Kubrick and even gets a mention in Full Metal Jacket. I found the main character, Shawn to be an accurate representation of someone with Asperger’s Syndrome. The book does well to avoid the clichéd stereotype of a Sherlock Holmes type genius with superhuman intelligence who doesn’t care for those around him and instead presents the character in a realistic way that is relatable to the reader. Building on that, I feel that the book also succeeded in respecting Kubrick and his legacy by portraying his personality accurately whenever he was mentioned, avoiding the completely wrong, but broadly believed in view that Kubrick was insane and uncaring. There were times where the book would make me think that the story was following an obvious route, but then this expectation would be flipped completely and as a result would give much more meaning to the story. By the end of the book I felt as though I had taken some personal meaning of my own from the story too. Overall, I found this book to be a great read in which I always wanted to know what would happen next. The book is made up of smaller chapters than most books, which made it a lot easier to invest reading time in, particularly if you’re quite busy. Not only people as obsessive about Kubrick as me will enjoy the many references and pieces of trivia in the book, but so will those who haven’t yet fully explored Kubrick and his work who will learn some things about him in reading this book. I really enjoyed the story and am sure that others will too. There is an audio book that’s been released on iTunes with a narration by Jonathan Frakes and a supporting role played by Yvette Nicole Brown, for those who would like to experience the story like that. You can also participate in an online Kubrick’s Game, which requires the book to solve clues and puzzles etc. I tried out the first clue and was pleased with the challenge presented, which involved cracking a code and receiving instructions in order to carry out a real life task. I found the process to be very fun. 5.0 out of 5 starsGreat read...full of puzzles and riddles...just like the real world game that's helping promote it. I purchased this book as a follow up to finding the 'live/real world' game that was being played by Derek Taylor Kent the author.I was enjoying the game so much I checked out the book preview on Amazon, and it looked like mt kind of read. I'm really enjoying it, and am still midway through, it's got some great idea's in it, and I'm loving the tie in with the game too...what a great concept. It's got some real nice touches in it with insights to the world of the biz we call 'show' of which I am a part as an actor, and it's all these things that make it such a good read...Great for film buffs too...well done sir...look forward to more. A good read for those who like solving riddles. Kept me guessing. Fanboy meets the Da Vinci Code. Not bad, but if you do not worship at the altar of Stanley, you may want to give this one a miss. 1.0 out of 5 starsSK turning in his grave. I can only think Stanley Kubrick would have hated this. The basic plot cannot be followed, the characters are completely unbelievable, the "insights" into the films are rubbish, the characters get into scrapes where they just run away, they've got no money, but they still manage to get around. No, I can't be bothered to write anymore. 5.0 out of 5 starsA unique and thrilling book. Perfect for film lovers. I loved this book. It is unique and thrilling. Perfect for film lovers and, of course, fans of Stanley Kubrick. The author is clearly an artist of more than one medium: the book has it all, cinema, games, puzzles, all wrapped up in a novel. This book is a page-turner. A great mystery novel. Derek Taylor Kent. I highly recommend it. For those who love games: reading the novel allows you to take part in a real-life one. Very exciting.